With the introduction of online trading, capital markets have undergone a revolution driven by technology and radical change. In many ways, online trading has democratised the entire industry by slashing intermediation costs and giving the public broad and instant access to financial markets through forex and contract for difference (CFD) products. Its introduction has also given rise to new business models such as online trading platforms. This in turn has allowed retail traders to operate independently from overarching financial organisations. It is still a relatively new industry, but as a result of its revolutionary nature, online trading has fast become a highly competitive and rapidly evolving field. In the past decade, the online financial services industry has also undergone some major transformations: stricter regulations by supervisory authorities such as the European Securities and Markets Authority and the enforcement of the EU General Data Protection Regulation, the most important change in data privacy regulation in 20 years, have created a complex set of restrictions and challenges. The latest advertising controls by Google and Facebook are further adding to the challenges faced by today’s brokers. According to Markos Solomou, COO at forex and CFDs online broker BDSwiss, change in the online financial services industry and the broader digital sphere is not only inevitable, but also beneficial. “Regulatory pressures ultimately force brokers to deliver more value to their clients by maintaining a greater level of transparency with regards to their procedures and processes,” he told World Finance. BDSwiss remains ready to accommodate stricter regulatory and advertising controls, as it believes that these restrictions help protect the interests of clients while laying the groundwork for a new era of fair and transparent online investing. “Today’s successful brokers focus on an optimum customer experience that is earned by offering superior service, rather than by taking risk and engaging in unwarranted marketing practices,” Solomou added. BDSwiss has not only managed to successfully overcome the aforementioned industry challenges and withstand the test of time, but it has also built a robust network of partners and expanded on a global scale. The company has now evolved into a one-stop broker that offers unparalleled multilingual support, native platforms and competitive trading conditions on more than 250 forex and CFD assets to a growing client base. Solomou believes that BDSwiss’ success over the years can be attributed to its forward-thinking approach and ability to remain flexible. “Being able to constantly adapt to change is no easy task,” he said. “It requires a high level of digital maturity, constant re-evaluation and refinement of your business model, and the right talents and key players at a management level who have the experience necessary to lead the company in the right direction.” He acknowledged that achieving a proactive business model in a fast-changing digital world is an ongoing process – one that requires time, money and resources. However, that process “also increases the likelihood that your organisation will not only survive, but also thrive”, he told World Finance. Forex brokers are also facing a separate set of business challenges in the modern era, due to the rapidly expanding application of cutting-edge technology. To remain competitive in an evolving field, brokers need to have a solid foundation, as well as secure data management strategies in place. These in turn require substantial investment in business technology infrastructure, combined with a strong organisational framework. The backbone of every successful broker is a regulated trading environment that safeguards investors’ best interests by providing safety of funds and secure transaction processes via authorised, top-tier payment providers. Maintaining a robust network of partners on a global scale has been a key ingredient in BDSwiss’ success. “We build long-term, mutually beneficial and highly lucrative business relationships with our partners,” said Solomou. BDSwiss’ dedicated Affiliate and Business Development teams focus on providing optimal support and assistance to both new and experienced affiliate marketers and ‘introducing brokers’ (IBs), helping them expand their businesses and maximise their earnings. By supporting partners with resources and constantly working on research to come up with products that really add value for today’s traders, such as educational resources, market alerts or custom trading tools, the company has been able to optimise conversions. “Our aim is to go above the traditional broker offering and provide our partners with benefits that add true value, such as personal support, dedicated call centres, competitive and transparent remuneration options, timely and secure pay-outs, and some of the most advanced tracking and reporting tools,” Solomou told World Finance. “More importantly, we listen closely to our partners’ requirements and suggestions, thereby ensuring we accommodate their every need.” The company is then able to build comprehensive support packages based on their clients’ preferred marketing channels, target audience and conversion goals, rather than offering an off-the-rack service that doesn’t meet all of their requirements. 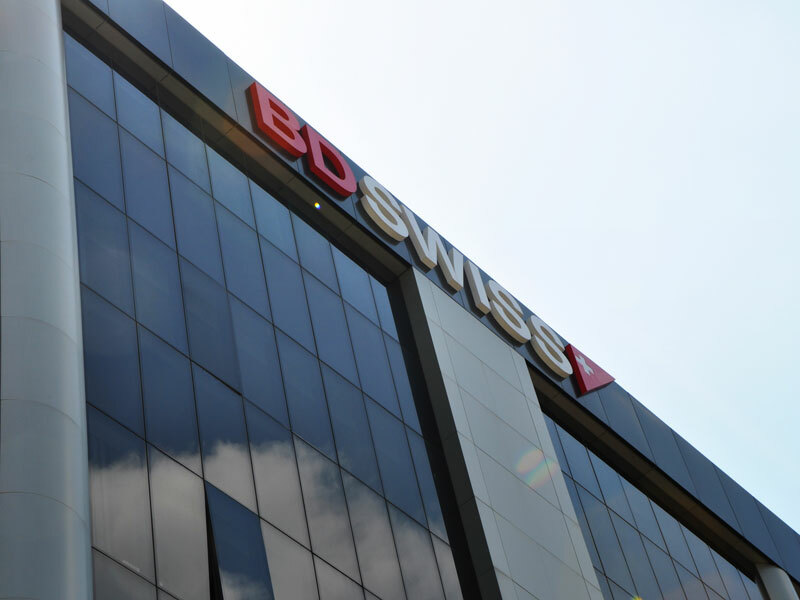 BDSwiss has a total of seven offices worldwide, including European outposts in Cyprus and Berlin, as well as recently opened offices in Kuala Lumpur. Having a solid presence in both Europe and South-East Asia enables the firm to offer its affiliates and IBs a complete 360-degree solution that can help them expand their reach. For instance, the group regularly invests in hosting local seminars and collaborative events, such as free forex seminars, multilevel trading workshops and exclusive educational events in a number of different locations. The company achieves this by investing in in-house fintech solutions, offering some of the most competitive trading conditions on a broad range of CFD assets, as well as integrating the latest automation and trading tools available. Some of BDSwiss’ latest additions include the MetaTrader 5 and Autochartist platforms. “We focus on what really adds value for traders in the long term, and we remain agile to the industry’s trends and changes. Essentially, we work tirelessly to become a truly one-stop broker covering our clients’ every possible trading need through our highly advanced platforms, ultra-competitive trading conditions and multilingual support,” Solomou explained. The online investment arena is changing at a faster rate than ever before. We are on the brink of a new era for the online investor: he or she can now expect more transparency, superior platforms and more competitive trading conditions than ever before. Online brokers today do bear more responsibility, but they also need to continually refine their offering, while specialising and innovating to maintain their competitive edge. Overall, the industry is likely to continue consolidating, and key market players are looking forward to what lies ahead. BDSwiss in particular continues to welcome any opportunity that will take its clients’ trading experience to the next level. “As for the future, we aim for ongoing growth by investing in fintech, embracing innovation and offering our clients and partners a better service through new technologies, a wider variety of products and continuous support,” Solomou concluded.